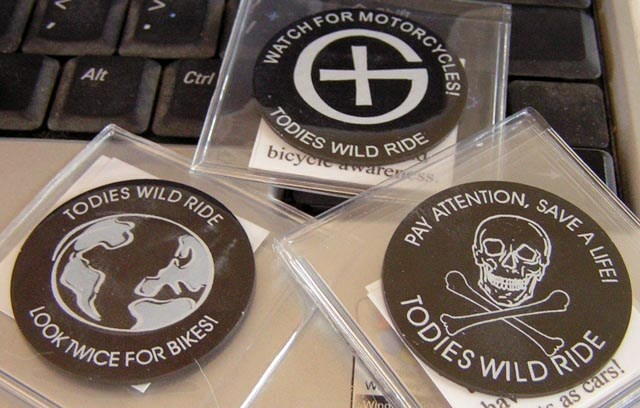 (TB30DP8) GeoCoins.net Trackable Token Geocoin - Todie's Wild Ride II: Don't drive distracted! Todie's Wild Ride II: Don't drive distracted! Use TB30DP8 to reference this item. Gallery Images related to Todie's Wild Ride II: Don't drive distracted! Ska vi byta grejer med varann? (13/13/13) http://coord.info/GC4W4DF Vissa fick resa vidare. Discovered it at the event "Ska vi byta grejer med varann? (13/13/13) in Gothenburg, Sweden. Thank you for sharing.